The Lheraud Vintage 1979 Grande Champagne Cognac is a powerful, complex, yet well-balanced vintage year Cognac from the premier cru of the Cognac terroir. At 48° you can appreciate where the power lies. But in an almost mystical manner, the skills of the family team at Lheraud Cognac have used their magic to produce a finished product that takes the drinker on a roller-coaster ride of the senses. The liquid is tantalizingly concealed in the dark colored bottles that have become a signature feature of the house's vintage offerings. The Cognac itself dances before the eye, teases the nose, before exploding upon the palate with flavor after flavor revealing itself. And just when you thought it could no longer surprise you, the finish brings further delights to the fore. 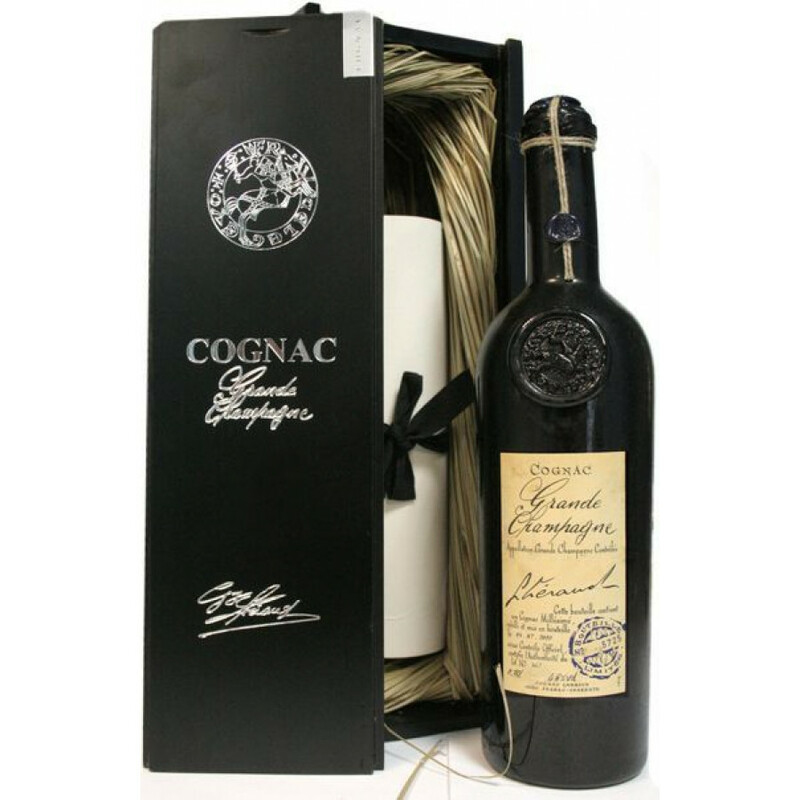 A wonderful addition to any Cognac collection, or perhaps the perfect gift for the connoiseur.